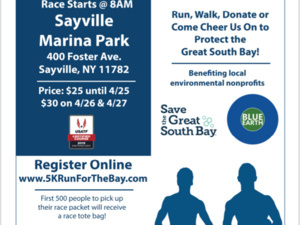 Blue Island Oyster Foundation presents the 3rd annual 5K to protect the Great South Bay. 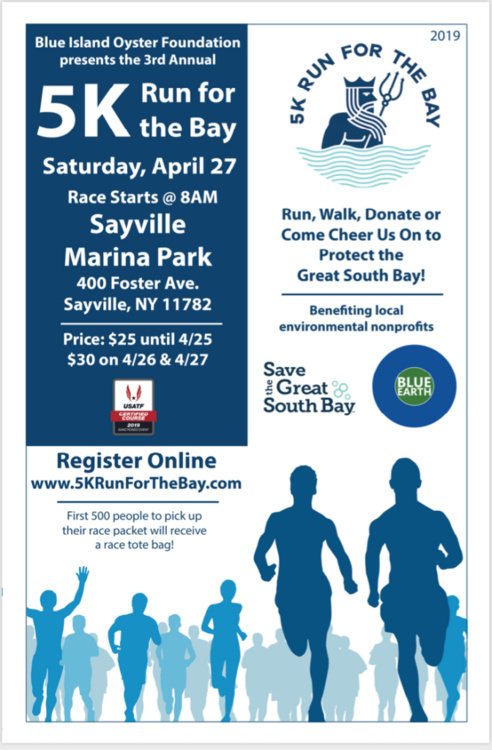 Benefiting local environmental organizations Blue Island Oyster Foundation and Save The Great South Bay! COURSE DESCRIPTIONA USATF sanctioned event over a USATF certified course covering a flat, fast course along the Great South Bay and waterways of south Sayville.